Lawrence "Irvin" I. Kettle, age 80, of Old Route 17 Salamanca, NY, died early Tuesday morning, March 20, 2012 at Olean General Hospital, Olean, NY following a long illness. 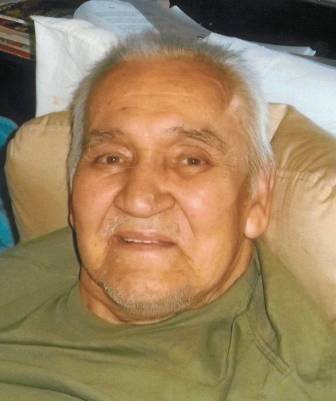 Born on July 26, 1931 in Shongo, NY he was the son and last survivor of the late Aaron & Cassie Jimerson Kettle. He was an enrolled member of the Seneca Nation of Indians, the Deer Clan, and was fluent in the Seneca Language. Mr. Kettle enjoyed the outdoors, walking throughout the community and talking with everyone. He will be remembered for his stories. He was an old-time country music enthusiast, especially Hank Williams and Johnny Cash. He enjoyed spending time at the Casino and had a meal named in his honor at the Dudley called "Grandpa Irv's Pot Roast". He loved to watch sports, especially baseball and football. He especially enjoyed spending time with his grandchildren and great-grandchildren. Surviving are: his former wife, Greta Crouse Kettle, Salamanca, NY; 5 daughters, Jonie Crouse, Salamanca, NY, Julie Kettle, Salamanca, N Y, Tina Kettle, Buffalo, NY, Jackie Kettle, Salamanca, NY, Tawny Kettle, Salamanca, NY; 3 sons, Lawrence "Larry" (Bonnie) Kettle, Olean, NY, Everett David Adams, Marietta, OH, Scott (Jennifer) Kettle, Lakeview, NY; 23 grandchildren; 9 great-grandchildren; several nieces and nephews. He was predeceased by 2 sisters, Wilma Kettle and Roberta "Ollie" Hill, 3 brothers, Aaron Kettle, Abner "Mannie" Kettle, and Merton Kettle. Friends may call at the family home, 8313 Old Route 17, Salamanca, NY beginning Wednesday afternoon and all day Thursday. Funeral services will be held on Friday in the family home at 11 A.M. with Rev. Wally Mapes of the Healing Reigns Fellowship officiating. E-condolences can be sent to john@orourke-rourke.com or posted to facebook.com/onofh.